LAHAINA, Maui, Hawaii, April 23, 2012 (ENS) – Four Hawaii community groups have filed suit under the federal Clean Water Act to stop Maui County from discharging wastewater into the ocean from its Lahaina treatment plant without a permit. After years of unsuccessful efforts to resolve the issue out of court, the nonprofit public-interest law firm Earthjustice filed the complaint in federal district court April 16 on behalf of the four groups. The plaintiff groups – Hawaii Wildlife Fund, Surfrider Foundation, West Maui Preservation Association, and Sierra Club-Maui Group – complain that three to five million gallons of wastewater are injected into wells at the facility every day. The tainted water surfaces offshore of Kahekili Beach Park in West Maui, killing corals, triggering outbreaks of invasive algae and endangering the health of people swimming and surfing there. “We notified Maui County last June that its Lahaina facility was damaging the reef and operating illegally, in hope that the county would voluntarily seek the required permit for wastewater discharges from the injection wells,” said Earthjustice attorney Caroline Ishida. “Unfortunately, it apparently takes an enforcement action to get the county to do anything, which is why we’re now seeking relief from the court,” Ishida said. This beach is the northernmost beach in the Ka’anapali Beach Resort, less crowded and commercialized than Ka’anapali Beach to the south. It is a favorite place for tourist services to take beginning divers and first-time snorkelers. The lawsuit alleges that Maui County has been discharging partially treated sewage into injection wells at the Lahaina wastewater treatment plant for 30 years, knowing that the wastewater would eventually reach the ocean, but has refused to apply for, much less comply with, the required federal wastewater discharge permit. 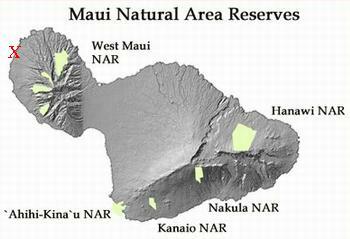 The groups are asking the court to direct Maui County to secure a National Pollutant Discharge Elimination System permit, which would set limits on the pollutants that can be discharged from the injection wells. In addition to pollutants like nitrogen and phosphorous, the wastewater contains bacteria and other pathogens, in violation of the federal Safe Drinking Water Act. In September 2011, the U.S. Environmental Protection Agency required the county to disinfect all of the wastewater pumped into the injection wells at the Lahaina facility by the end of 2013. The county’s failure to adequately disinfect the water over the past several years has been linked to staph infections among swimmers and other users of Kahekili Beach Park, the groups complain. 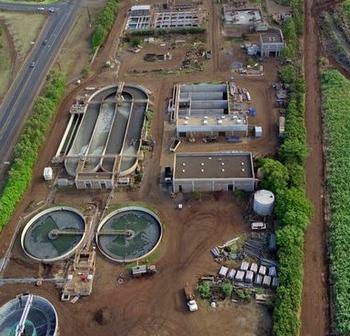 “While disinfection is a step in the right direction, it won’t remove nitrogen and phosphorous from the wastewater, so it won’t get rid of the harmful algae growth at Kahekili,” said Hannah Bernard of Hawaii Wildlife Fund. “Algae smother the coral and upset the ecosystem because fish and other marine animals depend on the reef for food and need the crevices within the reef,” said Bernard. “Algae growth and infectious diseases aren’t the only problems the injection wells cause,” explained Tim Lara, who chairs the Surfrider Foundation’s Maui Chapter. “Studies have shown that chemicals like pharmaceuticals and fire retardants also travel from the injection wells into nearshore waters, posing additional threats to the delicate ecosystem and to local residents and tourists swimming and surfing at Kahekili Beach,” warned Lara. 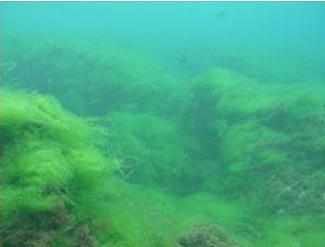 Researchers from the University of Hawaii analyzed the specific type of nitrogen found in the algae growing in the waters offshore of Kahekili Beach and identified it as the same type of nitrogen being pumped into the injection wells at the Lahaina treatment plant. An ongoing tracer dye study conducted by the U.S. EPA and UH scientists has confirmed the connection between the wells and the ocean, showing that pollutants injected into the wells enter the nearshore waters of Kahekili Beach Park via freshwater seeps.